One of the new generation’s titans of turn-up, Comethazine is rapidly blowing up. In 2018, Comethazine released “Walk,” a woozy and speaker-knocking banger, which grew into a massive hit, with more than 103 million streams on all platforms. 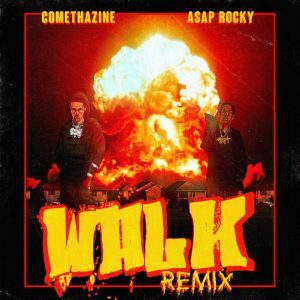 Today, Comethazine recruits A$AP Rocky for the “Walk” remix. 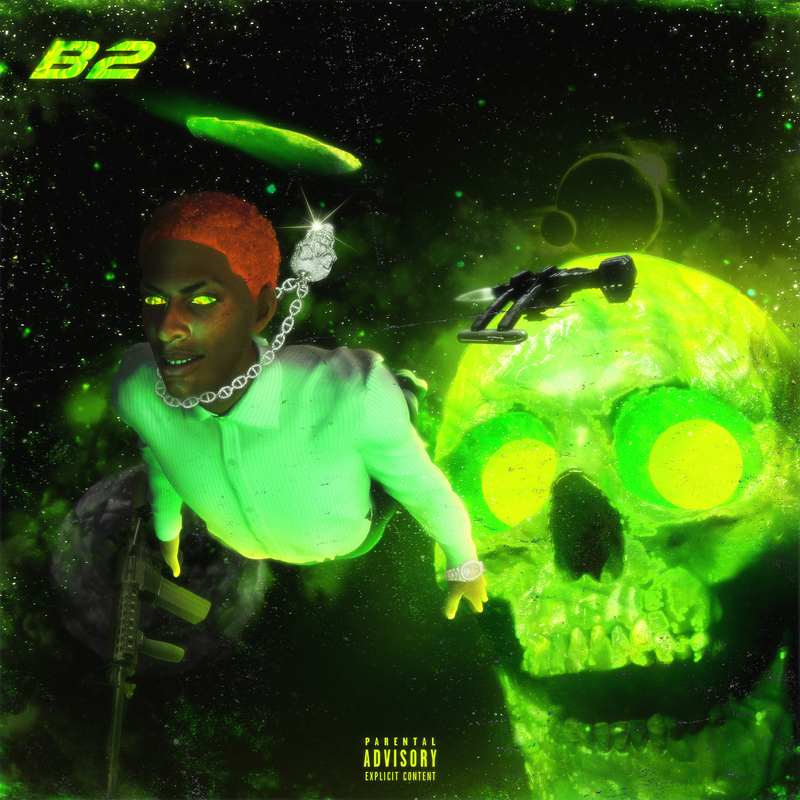 Rocking a triplet flow atop the track’s flickering and see-sawing synths, Rocky provides a perfect counterweight to Comethazine’s manic bursts of aggression. Premiered by Zane Lowe on Apple Music’s Beats 1 Radio, “Walk” Remix arrives via Alamo/Interscope. Born Frank Childress in 1998, St. Louis-native Comethazine was a lean-loving high-school dropout. Influenced by Nipsey Hussle, Odd Future, Lil B, and Chief Keef, he started rapping in 2015. He soon discovered that his initial output was not as well received as party-oriented cloud rap, so he switched angles and scored a pair of local underground hits with “Run It” and “Hella Choppers.” The Aloe Vera EP landed in 2016, which resulted in a late-2017 deal with Alamo Records. A slew of short singles followed, including “Deathwish,” “Piped Up,” “Oowee,” and “Hero.” “Bands” became a viral hit, landing on his first full-length, Bawskee, which debuted on the Billboard 200 upon its release in 2018.